Most everyone has a spot that works for them, where they can go and see something great pretty much every time. Lucky people have more than one, I guess some people don’t have any. I’m not sure how these places work, perhaps some places just are better, or perhaps it’s just chance. But some spots just pop, and this story is about mine. It’s in Garigal National Park in northern Sydney, although you could make a strong case for inserting a “barely” before in. Garigal National Park (the name always makes me think of those odd long-snouted crocodiles from India) is a long series of just about connected strips and chunks of land linking one of the coves of Sydney Harbour to the much larger Kuring-Gai Chase National Park (which forms a chunk of the northern border of Sydney). My spot is located at the southern tip of the southernmost strip, not far from the beach resort of Manly. It can be reached by car or by bus, and parking is shared with a set of games fields that borders the park here (I once found a football on the path some way into the forest, so I took it back and threw it into the field!). The field overlooks the harbour, and I’ve seen White-bellied Sea-eagles here. The path from the games car park passes through some unimpressive forest before dropping down through dense stands of casuarina and then some nicer stands of eucalyptus forest. Oddly it is the rather awful bit of forest at the start that for me at least always seems to provide the best results. 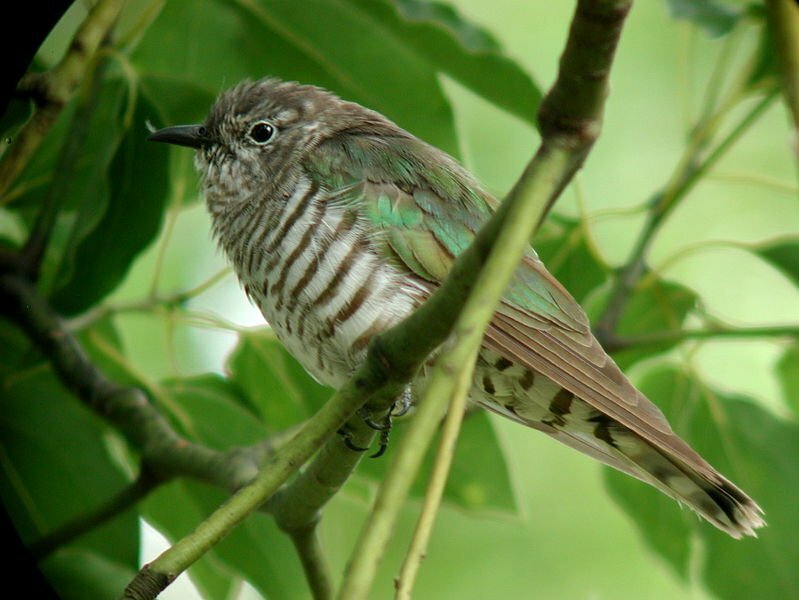 Earlier this year on one visit I encountered a Fan-tailed Cuckoo not ten yards down the path, a pretty exceptional lifer for such a inauspicious place. The next day in exactly the same spot I encountered a Shining Bronze Cuckoo, a species I have only seen twice in five years living in New Zealand. In both cases I was able to watch them for quite a while, quite a treat when it comes to skulky members of the cuckoo family! The birding stays good as you wander down the first section. There’s a kink in the path with some boulders and some old junk that is the most reliable place I know to actually see Eastern Whipbirds, which are notorious skulkers most of the time. Their whip-like call is not often lacking in a patch of bush anywhere, but they do love hiding. Other birds I’ve seen well here are Black-faced Cuckoo-shrikes, Eastern Yellow Robins, a Grey Shrike-thrush, and one particularly good bird was a Rufous Whistler, the only member of this species I have ever seen. As you proceed through the casuarina the birding gets tricker, but there are still plenty of birds to see. 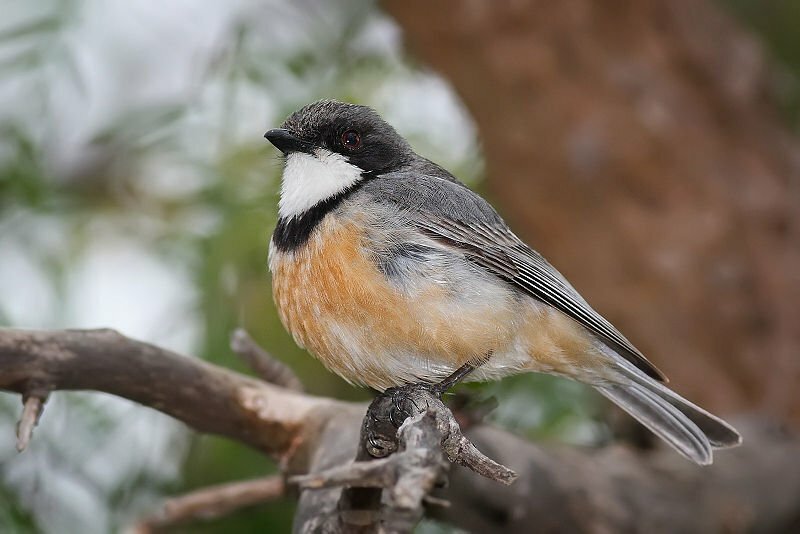 Many of these are typical bush birds of Sydney, such as Variegated and Superb Fairy-wrens, White-browed Scrubwrens, Grey Fantails, Brown Thornbills and Brown Gerygones. One interesting bird I’ve encountered here is the Red-whiskered Bulbul, an introduced Asian species that is found in Sydney but not really in huge numbers; it certainly hasn’t taken off like the mynas have. Further on down other species become more common, including Rainbow Lorikeets, Red Wattlebirds and Sulphur Crested Cockatoos. This spot will never be one of the great destinations all birders flock too when visiting the city, but it is one I’ll head back to every time. I can’t wait to see what I’ll find there next.